Uncovering the Hidden Resistance History of Black Women Athletes - The Nation. 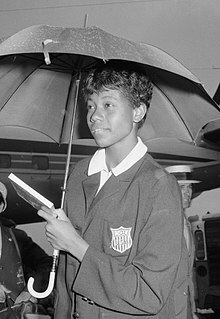 Wilma Glodean Rudolph was an American track and field sprinter who competed in the 100 and 200 meters dash. Rudolph was acclaimed the fastest woman in the world in the 1960s and competed in the 1956 and 1960 Olympic Games.